January 23, 2019 — CINCINNATI–(BUSINESS WIRE)–Great American Life® is pleased to announce the availability of a new fixed annuity product. The American Freedom ClassicSM 3 is designed for consumers who are interested in greater liquidity and who want to grow their money without the worry of market volatility. The new product offers a fixed interest rate that is guaranteed for an initial three-year term. At the end of the first term, consumers have the flexibility to surrender their contract without penalty, or begin a second term, during which a new interest rate is guaranteed for an additional three years. According to Dave Mebius, Great American Life’s National Accounts Director, the current market environment warrants the need for shorter-term solutions like the American Freedom Classic 3. Great American Life Insurance Company® is a member of Great American Insurance Group® and is rated “A+” by Standard & Poor’s and “A” (Excellent) by A.M. Best for financial strength and operating performance. The annuity operations of Great American Insurance Group (GAIG) offer retirement solutions through the sale of traditional fixed, fixed-indexed and variable-indexed annuities in the retail, broker-dealer, financial institutions and registered investment advisor markets. Annuity subsidiaries include Great American Life Insurance Company® and Annuity Investors Life Insurance Company®. GAIG’s roots go back to 1872 with the founding of its flagship company, Great American Insurance Company. The members of GAIG are subsidiaries of American Financial Group, Inc. (AFG). AFG’s common stock is listed and traded on the New York Stock Exchange under the symbol AFG. AFG is a Fortune 500 Company with assets of over $60 billion. Learn more at GAIG.com. 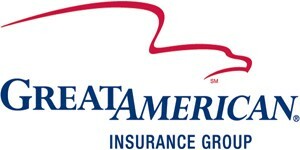 Product issued by Great American Life Insurance Company®, member of Great American Insurance Group (Cincinnati, Ohio). S&P rating affirmed February 23, 2018. “A+” is fifth highest of 21 categories. A.M. Best rating affirmed August 17, 2018. “A” (Excellent) is third highest out of 16 categories.